Anirban Lahiri salvaged some confidence and pride with a two-under 70 in the second round but missed the cut at the Farmers Insurance Open, here. Coming after the first round 80, it was a relief of sorts for the 28-year-old Indian, playing his Rookie season on the PGA Tour. Lahiri started on the 10th and had just one birdie and one bogey on the back nine of the Torrey Pines (North) and then added two birdies on the second nine. That gave him a 70, but he still missed the cut by ample distance. It was Lahiri's debut at the Torrey Pines, but also missing out on the cut this week were defending champion and World No. 2, Jason Day (72-76), Rickie Fowler (73-71), Justin Rose (71-73), which meant three of the World's Top-10 stars had missed the cut and so did Phil Mickelson (69-76). 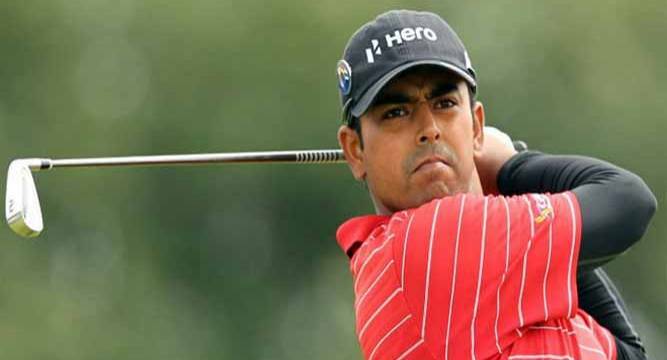 Lahiri, winner of the Malaysian Open and Hero Indian Open early last year, was Tied-28th last week at Career Builder Challenge and will be back again at the USD 6.5 million Waste Managements Phoenix Open next week. However, coming into form at the right time was KJ Choi, who shared the lead with Gary Woodland as both players 68-67 in the two rounds. Trailing them by one going into the weekend was Dustin Johnson, who made a risky escape on of the one wild tee shots he hit. Still he was only one behind Choi and Woodland. Choi was a bit of a surprise, having not won on the PGA TOUR in nearly five years. The 45-year-old South Korean shot his 67 on the North Course. Scott Brown had a 71 on the South to join Billy Horschel (70 on the South) and Martin Laird (68 on the North) at 7-under 137. The cut was at 1-under 143. Day's missing the cut was the first a defending champion had missed the weekend since Jose Maria Olazabal did in 2003.